Few investments in life are as monumental as that of a college education. As such, no other investment promises lifelong dividends the right college education promises. At Rollins, we believe that value is everything. 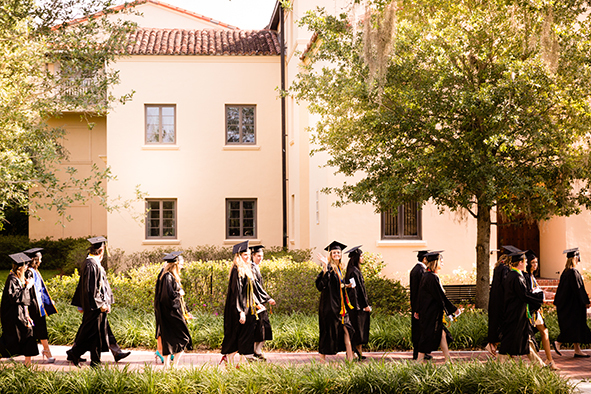 Rollins has been named to Money.com’s list of the nation’s best colleges for merit aid, ranking in the top 50 for access to merit-based financial aid. Eighty-five percent of Rollins students receive financial aid, and each year, Rollins students receive more than $50 million in state, federal, and institutional resources. Explore the four basic types of financial aid available to Rollins students, including scholarships, grants, loans, and work-study. Learn more about the cost of attendance at Rollins, including tuition, fees, room and board, books, loan fees, personal, and transportation expenses. The Net Price Calculator provides an early approximation of what a new first-year, undergraduate student can expect to pay to attend Rollins College. From how need is determined to what forms you need to complete, find answers to all of your financial aid questions.